New Millenium starts with an odd futuristic-sounding synth line and a triangle, tony levin sounding bass, and unusual opening vocals from Labrie. It all shows a different band, the biggest difference being that Myung can actually be heard! Falling into Infinity is a change of sound for the band. Kevin Moore unfortunately left the band and had a replacement. 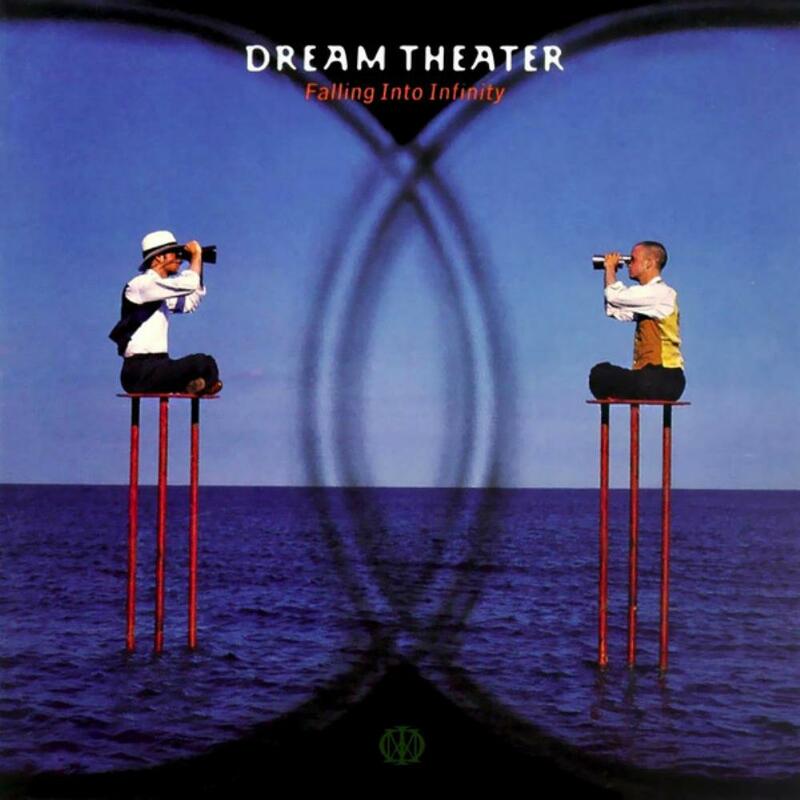 The complexity of the arrangements got a bit stripped down, the sound is a bit jazzy in moments, and there are several simpler songs, some of them being low points in Dream Theater's musical career. I wished that they made a very good shorter album with those tracks removed as this feels like they wanting to stretch the album to the maximum capacity the CD can handle. I'll go over the good songs first. New Millenium as I stated sounds a bit different from their sound in the past and the first three minutes shine with its instrumental overture and a great low-tempo riff where Labrie opens with a nice and dark vocal line. The rest is a conventional rock sound with Labrie abandoning his opera-vocals. Peruvian Skies is an excellent melodic song with some mid 70s Rush influences. The first half is mellow and the second half is more intense with a great guitar performance. Hell's Kitchen is the instrumental here and while it has none of the virtuoso musicianship, is an excellent moody piece that flows from Burning My Soul (Metallica influenced song with an addictive riff) and into Lines in the Sand starts really well with a gorgeous lead synthesizer leading an atmospheric section that transform into a rocker with a guest vocalist. Unfortunately, I don't enjoy his rock&blues style and I wish Labrie sang those parts, even if I don't really enjoy Labrie's vocals much. Afterwards, the musical ideas improve and the song sounds very inspired, with both soft and heavy moments. Anna Lee , while not outstanding, works as a nice break from the heavier songs before it and Trial of Tears is a very good lengthy song with a very nice acoustic segment in minute 10. Trial of Tears really is on par with their previous long songs. It has musicianship, atmosphere and emotion. All the songs I didn't mention yet are much more radio-friendly, which is sad coming from a group like Dream Theater, who rose as a cult-band and became popular due to their talents. You Not Me for example relies on a wha wha guitar riff as a hook and a somewhat generic chorus that comes close to pop. Hollow Years is another mainstream song. This song is acoustic and has some very nice acoustic guitar solos in the beginning and middle, but Labrie kills this song for me. He just sounds a bit out of tune and his voice doesn't seem to match the music very well. This song is done much better in the "Live at Budokan" live album. Take Away My Pain had potential to be a very touching farewell to Petrucci's father, but I only find it a mediocre ballad with lack of good melodies and a lackluster guitar solo that doesn't move me. Finally, Just Let Me Breathe is an angry metalfest that really does nothing for me, though the keyboard solo is not bad. Overall, this is a good album with some poor tracks, but not really recommended until you've heard most of their other better-received albums.